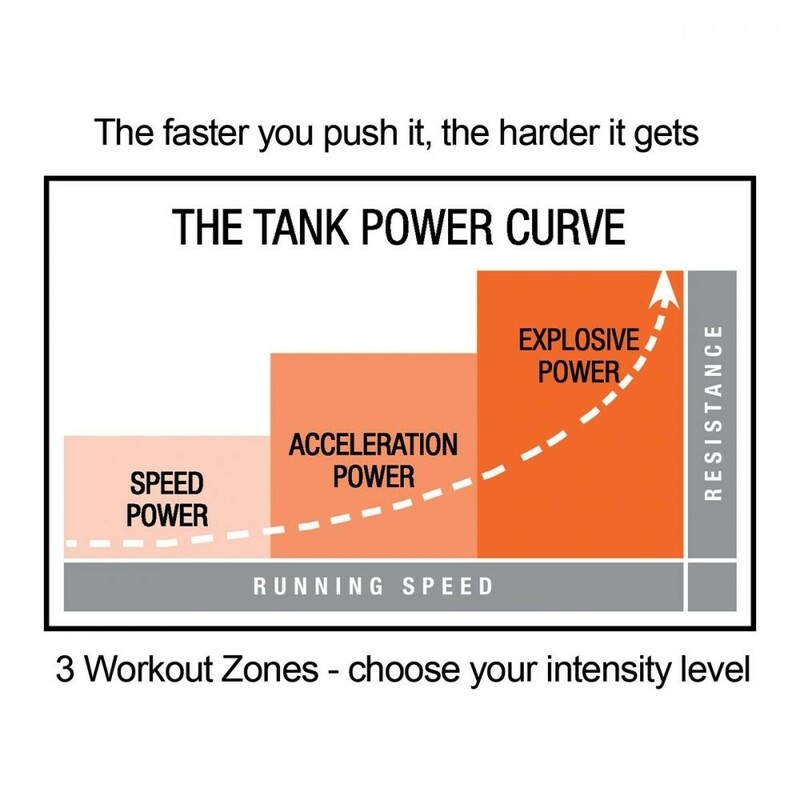 The TANK™ is the ultimate tool in building an explosive athlete. 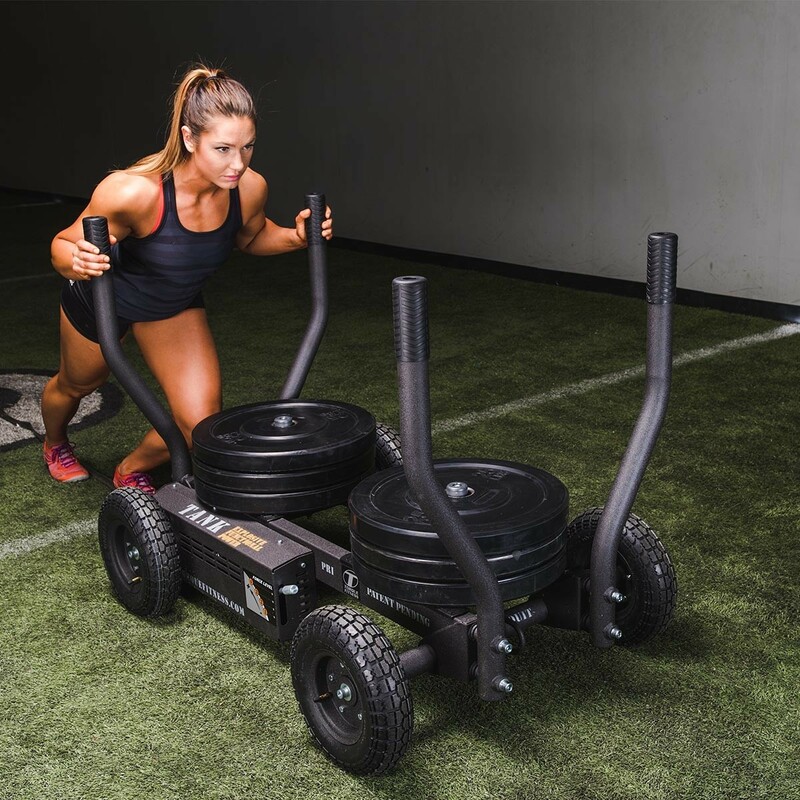 This exercise sled is designed to give our athletes a complete workout. 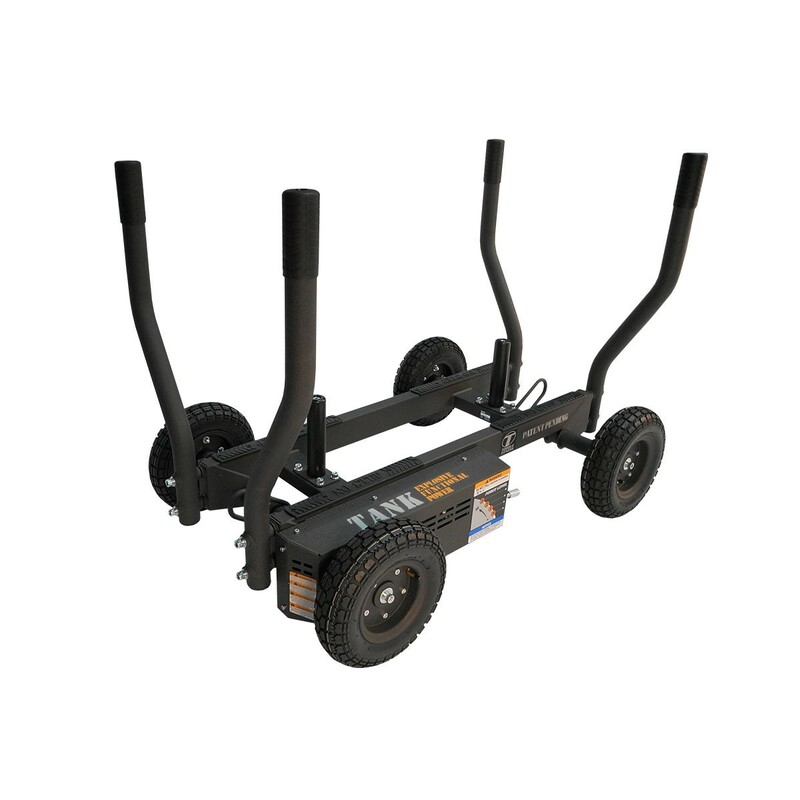 TANK™’s tires allow it to be used on any surface without fear of damage or noise, making it the most versatile workout sled in the industry. Choose from three levels of resistance to switch up the intensity of your workout either in different runs or in the same run. 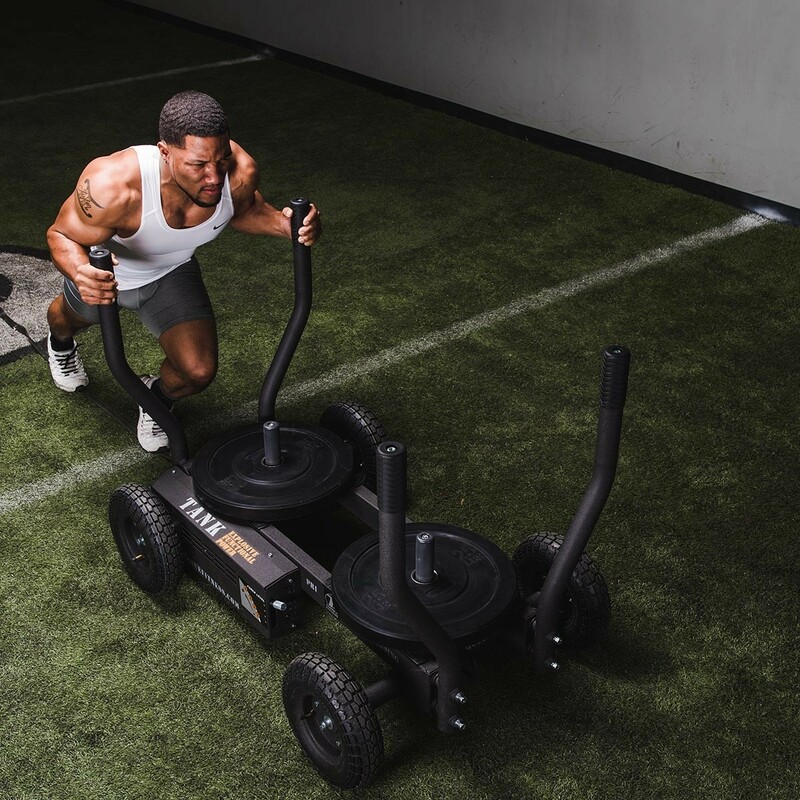 Torque’s TANK™ is bi-directional, meaning that there is no need to turn the fitness sled around as you go about your workout. Each grip point has a firm rubber coating which allows the user to get a tight hold. 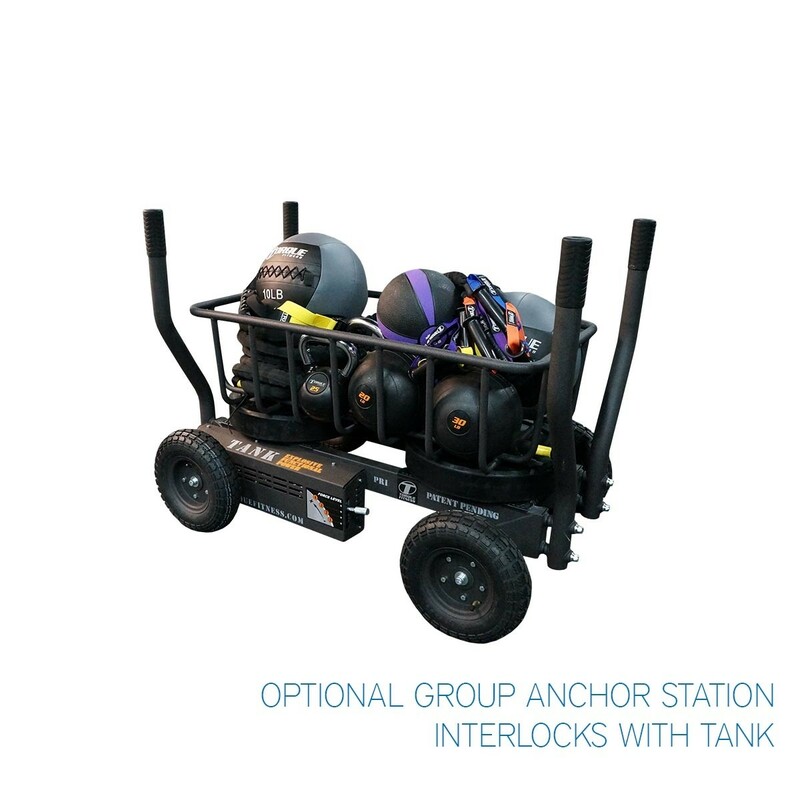 The power and burst that TANK™ provides makes it the ultimate push and pull sled. 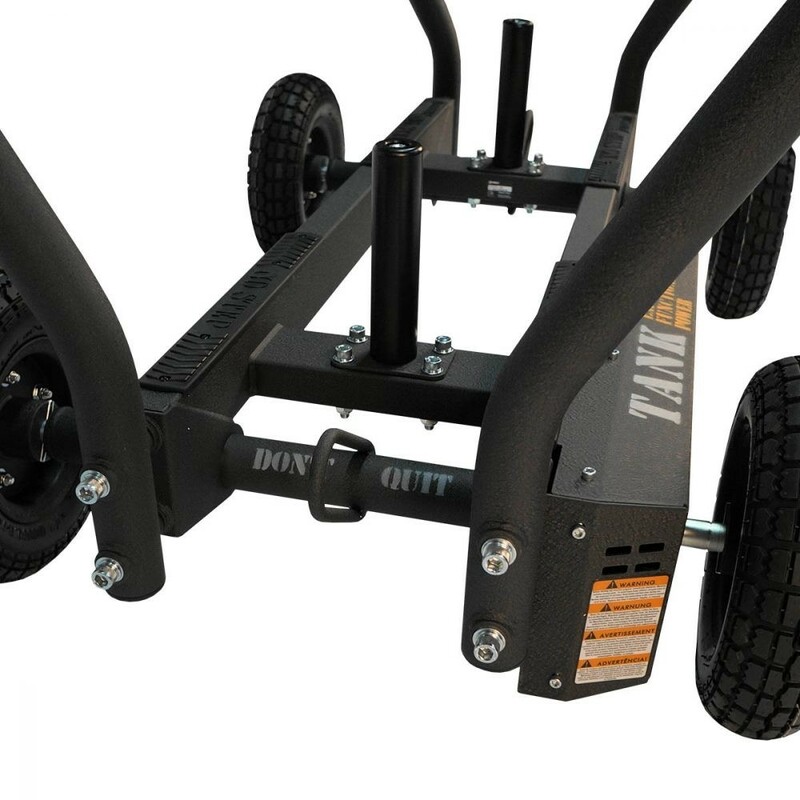 Note: Weight plates shown are not included. 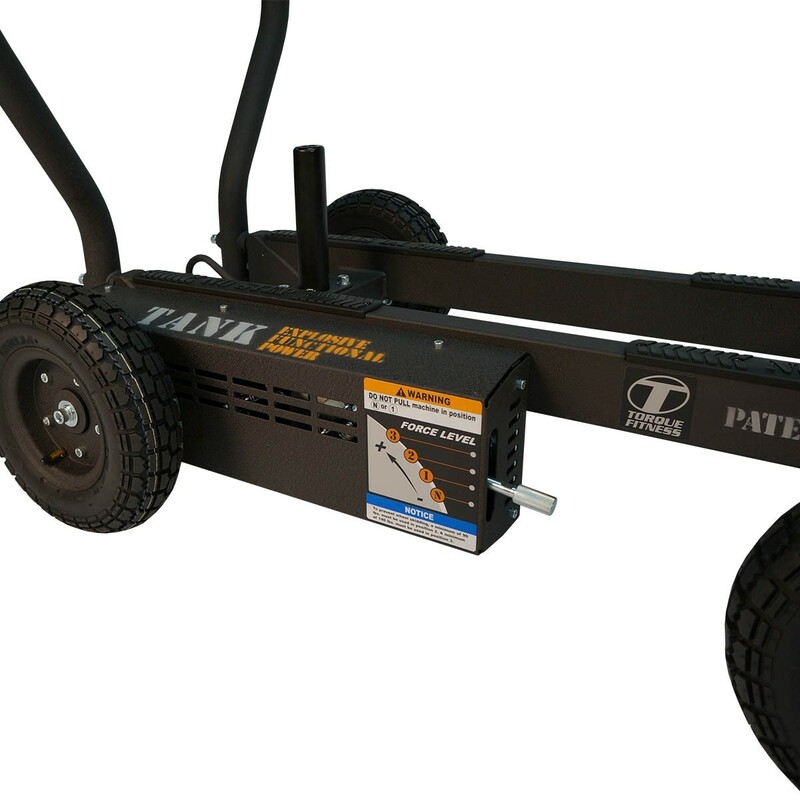 Weight does not add to the resistance, but is required in order to create traction for the wheels on some surfaces. Do not exceed recommended weight of 270 lbs.